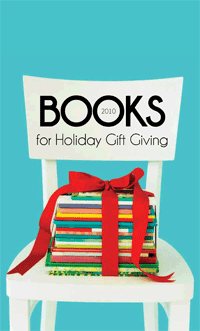 Our suggestions for holiday gift-giving are out (and about). While we have brought in at least one copy of almost every book in the catalog, Murphy's Law prevails and it usually happens that whatever the first customer wants to buy is the title we do not have on the shelf when she wants to buy it. And, right now, we are offering 20% off every title in the catalog. Be sure to come early and make sure we can get your choices in before Hanukah, Christmas, Kwanzaa or simply my birthday. No, I won't tell you when it is.